Australian cross stitch designs by Juniper. Chart Only - Suitable for boy or girl. Design size approx 145cm X 100cm (cot cover size). Anne Cloth and DMC perle # 5 thread recommendations included on chart. 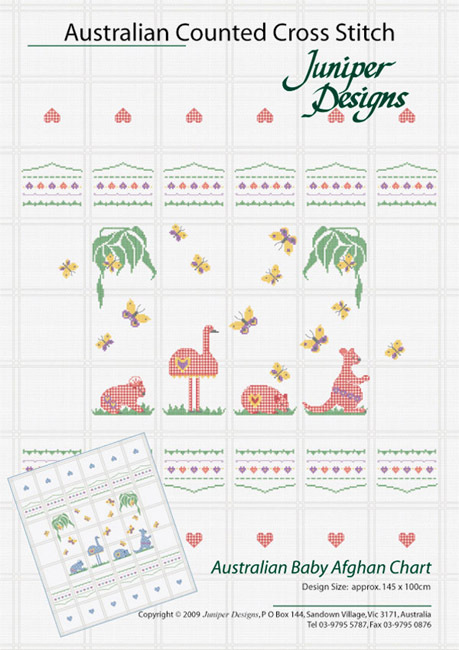 See matching Australian Baby Sampler.